The third book in the Logos “How to Read the Bible” Collection is Stan Guthrie’s “All That Jesus Asks: How His Questions Can Teach and Transform Us“. Guthrie takes the majority of questions Jesus asked during his ministry and weaves them into an investigation of the identity and mission of Jesus Christ. In later chapters he turns to questions that explore our identity as disciples (character, (in)competency, attitude, etc) and finally concludes with some apologetics. After being fairly critical of the other book he did in this collection, “A Concise Guide to Bible Prophesy“. I am really happy to say that this book was excellent. It is thorough. It is insightful. The illustrations are excellent. If I had to compare this to something, I would call this book “Jesus’ Questions for Everyone” as his style reminds me of N.T. 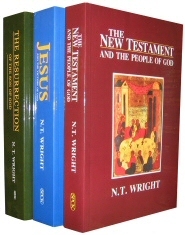 Wright’s “For Everyone” Series of New Testament commentaries. 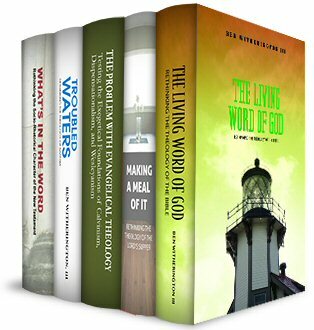 He touches on the relevant verses, illustrating and commentating along the way. I would recommend this book not just to people who want all of Jesus’ questions in one place but to people who enjoy investigation. He doesn’t just linearly and analytically make a list of questions and address them. He weaves the questions of JesusI really love that because any book about questions should feel like an investigation…it is just being fair to your subject…and Guthrie really does pull it off. When Jesus stands before Pontius Pilate, and a Roman execution for sedition looms large, the procurator asks him, “Are you the King of the Jews?” Jesus is not concerned with saving his own skin, but learning whether this brutal Roman official might be a spiritual seeker, one in whom the seed of faith is likely to grow. “Do you say this of your own accord,” he asks, “or did others say it to you about me?” Jesus genuinely wants an answer because he doesn’t know. – Guthrie, S. (2010). All that Jesus Asks: How His Questions Can Teach and Transform Us (60). Grand Rapids, MI: Baker Books. Jesus was making a point in asking the question that goes beyond him just being ignorant of the answer (much like God asking Adam and Eve “Where are you” after they sinned – Gen 3:9). Of the recorded questions of Jesus in the Gospels, Jesus doesn’t normally ask questions out of ignorance. His questions make a point. This entire book was about how Jesus taught through questions, so I am not sure how he missed it on this one. Overall, great book and one I would recommend. What the book lacks in scholarship (which overall is pretty insignificant) Guthrie makes up for in his journalistic style, engaging commentary, and ability to connect the reader to the thrill of the investigation, relevance and application. 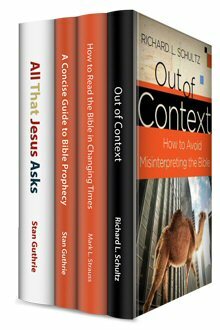 Questions are powerful and Guthrie does a great job of handling the questions of Jesus from his own perspective without getting in the way. John tells us that, like Jesus, we ought to lay down our lives for others. No surprise there, but notice the example he gives of what this looks like. He doesn’t tell of a Christian dying for another Christian. John’s illustration of how to lay down your life for others is to help someone in need. The truth of the matter is, few of us will ever die for another person, while all of us have the opportunity to put others first on a daily basis. That brings us back to Jesus. When did Jesus lay down his life? It started well before the cross. It started when he invited a tax collector to follow him, even though he knew people wouldn’t like it. It started when he got an adulterous woman out of being stoned, even though he knew it would cost him. It started when he raised Lazarus from the dead and the plots to kill him started to swirl. It started back when he told them he would tear down the temple and raise it up again in three days but they didn’t understand him and were angry with him for saying such things. The point is, Jesus laid down his life all along the way. The ultimate demonstration was in the cross but the reality is, it started way before that. The cross was the natural progression of a life that was already given up for others. So when we are called to lay down our lives for others, don’t get all focused on dying for someone else and never put this into practice for lack of opportunity. Realize that laying down yourself for others is about how you value people and how you see yourself. Be very careful to never marginalize others. Jesus frequently took people from the margins, excluded from their community, into fellowship with himself: the 12 disciples, the woman at the well (and all her neighbors), the woman with the perfume, Zacchaeus, you and me. Remember that prior to our salvation, we were dead in sin. When Christ raised us to life we were powerless, helpless and dead. It takes humility to remember where you came from. He has done it before and, before you look down on someone else, remember he will do it again. I would hate to be the guy who stood between anyone and Jesus! I am so encouraged that Christians today are serious about that part of our mission. It has taken some time but I am convinced that in many instances the church is turning the corner on this one! I remember feeling stunned – baptism! It hadn’t come up in a while, not since I’d given up the idea that crackers and juice were an adult snack I was missing out on. I had seen other people baptized, mostly adults, and a few teenagers at camp every year. I hadn’t really considered it for myself. But, being a girl who did as she was told, that Sunday night I was baptized by my father, before the evening worship service with as little hoopla as I could orchestrate. I was ten years old, in fifth grade, and I always wanted to do the right thing. If my dad said this was the right thing, then it must have been the right thing. I loved God. I wanted to be saved. I remember feeling somewhat saintly that night falling asleep, and dreamt horrible dreams of the sins I would soon commit, destroying my perfect, sinless, saintly self and woke up the next day bereft and confused. Following Christ in the act of baptism did nothing to prevent me from sin. From missing the mark and messing up. Over and over and over again. I thought somehow that baptism would make me more holy, sin-free and saintly. I would be less tempted, guileless and free. I come from a long line of female perfectionists, good girls who were great at keeping up appearances and worrying about what the neighbors might think. Yet sin seemed to find me, no matter how good I was, or how well I followed the rules. I came to realize that despite my best efforts, sin remains. As much a part of me as my gender and humanity. Parenthood and perhaps simply age have helped me realize that being perfect was never the objective. The true objective is equally simple as impossible. Does that mean be perfect? Spotless? Sinless? Worldly perfection is an exhausting task master. In a million ways I will never be enough…daily I am faced with my imperfection as a parent, a wife, a daughter, a friend. There is always more that could be done, greater heights to which I should aspire, and always, always, someone better with whom to compare myself. Rather than striving (and failing) for perfection, maybe I just ought to be striving to be like Jesus. A man who made Himself nothing. Who didn’t follow all the rules. Who questioned tradition, social mores and legalism. He got angry when anger was justified. He wept when grief was called for. Most of all, he loved the broken, beat-up and bewildered. Most of all, he loved the ones who could never be enough. Living in such a way that the Light, that heaven-born light, shines from the inside out. And so I tread onward, trying to live with the inside on the outside. Allowing the cracks to be exposed. Setting aside the unattainable and simply being me – in all of my brokenness and flaws. The cracks are how the Light gets through, and being perfect isn’t my job. It’s His. I received the blessing of meeting Adelle at the Pepperdine Lectures last week. Be sure to have a look at more of her writing at the above links. Thanks Adelle for taking the time to write this. I am sure it will impact many. Do Not Just Be Yourself! You hear it all the time, “Just be yourself” or “don’t try to be someone you are not.” Self expression is popular. Give a kid a school uniform and she will find a way to make it her own. Uniformity is not seen as a plus. That’s why people talk about solutions being outside the box because staying in the box with all the other people who have done it a certain way before is just old and boring. None of that is wrong but it is important to remember a few things about being ourselves when it comes to self-expression. But when it comes to our identity, we can’t just be ourselves. Left to ourselves, we are dead in sin. Left to ourselves, we make terrible decisions. Left to ourselves we are helpless. The Bible teaches us that God’s desire for your life is that you become someone you were not before. Don’t just be yourself, be like Jesus. I am so appreciative that God loved us enough to send Jesus to show us how to live. Words on tablets weren’t enough. God expressed himself through the flesh and blood of Jesus Christ. His desire for us is that we follow Him so intimately that we become more and more like Him each and every day. So don’t just be yourself…try to be like Jesus.